As a woman, do you struggle to find the right kind of sports nutrition? Look no further than IdealFit, a one-stop-shop for nutritional supplements designed by women, for women. We've got a great selection of IdealFit Discount Codes to save you money on your order. Buy Skipping Rope for only £6.99 at IdealFit! IdealLean vegan protein for just £19.49. Shop Now and Save! Expires on May 31st 2019	Usual T&Cs. Expires on April 30th 2019	Usual T&Cs. Start your 15 day workout plan today! IdealFit clothing up to 33% OFF. Shop Now and Save! Buy one get one free on pre-workout & BCAAs – mix & match at IdealFit! Karina’s 6 week challenge for only £49.99 and receive a free tub of protein and shaker worth £39.98! Save Up to 10% off all orders at IdealFit! Free delivery on all orders at IdealFit! Use Promo Code and Save! 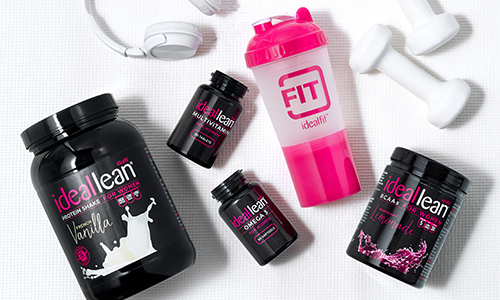 For a limited time, get Free delivery on all IdealFit orders! For a limited time, buy one protein and get another one half price! Shop Now and Save at IdealFit! Limited time only! Get 2 for £25 – BCAA & Pre-workout at IdealFit. 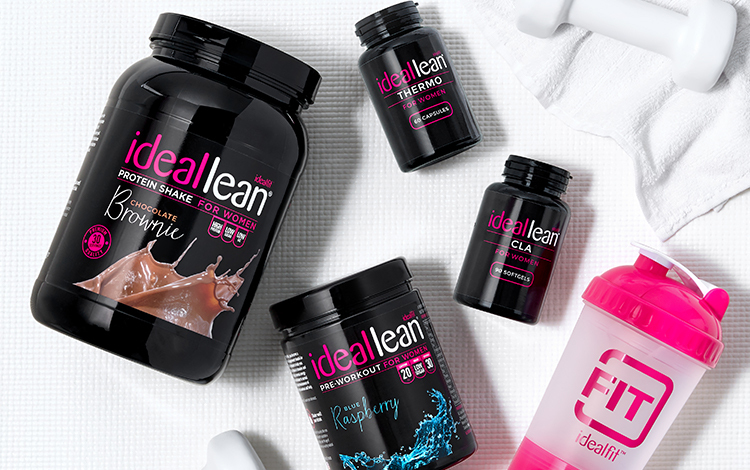 Buy Idealfit products starting from £9.99. Shop Now and Save! IdealFit vegan range is now available. Shop Now and Save! Expires on December 31st 2018	Usual T&Cs. Train like Karina Elle or Trainer Lindsey. Try it Now! Above, you will find a range of attractive deals and discounts to get you started. Keep checking this space regularly for new updates! Once you choose the offer you like best, click on either “Reveal” or “Claim” to continue. Clicking “Reveal” will redirect this page to the IdealFit site, while a new tab will open with the offer code. You will need to copy this code. Clicking the “Claim” option is faster and easier, as it will directly take you to the IdealFit page, where your offer or discount will automatically apply when you are done shopping. There’s no need for any codes! On a PC or laptop, copy the code from the new tab by highlighting it with the drag of your cursor, right clicking, and selecting copy. Alternatively, you can press Control + C to copy. You can even jot it down. On a smart device, press down on the code and it should give you the option to copy. From the IdealFit page, go to the “Shop” tab on the left. On this page, you will see their variety of merchandise on offer. Browse, and click on “Order Now” that will take you to that particular product’s listing. Here, you will find further info to help you make your choice. Once you decide, press “Order Now” in the listing page once again. You will get a notification that the product has been added to your cart. You can now opt to view your basket and check out, or continue shopping. Use their filter features on the left side of the main “Shop” page to find what you need. You can narrow down the supplements, or your clothing size with this feature. Once done, you can proceed to checkout by either clicking on the “Basket” tab at the right corner of the page, or selecting “View Basket” which will take you to the shopping basket page. If you selected “Claim”, your offer or discount should automatically reveal at this stage. If you selected “Reveal”, you will now need to add the code you copied from before in “Got a discount code?” code-box at the bottom of the page. If you copied the code—on a PC or laptop—simply right click on the code-box and select paste. Alternatively, you can press Control + V. If you jotted it down, type your code in. On a smart device, hold down on the code-box and select paste. Hit “Add”, and the offer or discount should now be applied to your basket. Click on the “Checkout Securely Now” tab at the right-bottom of the page or select the “Checkout with Visa” option. Follow instructions and bill accordingly. After you finish paying, you should get an order confirmation mail on the email ID you put in. Once done, how about exploring the IdealFit blog or taking up one of the expert trainer challenges? And joining the IdealFit community on Facebook and Instagram! IdealFit backs the personal ‘ideals’ and ‘goals’ of your fitness regime. And with their IdealLean range of pre-workout supplements, skinny proteins, and BCAA supplements, you are one step closer to safely achieving those goals. What started out as an endeavor to deliver quality sports nutrition for women has now turned into a personal revolution. Welcome to IdealFit, designed by women, for women. In the murky and confusing depths of fitness supplements, finding the right kind of products can be daunting for women. This is where IdealFit comes in, with their range of products specifically designed to address fitness needs of women. 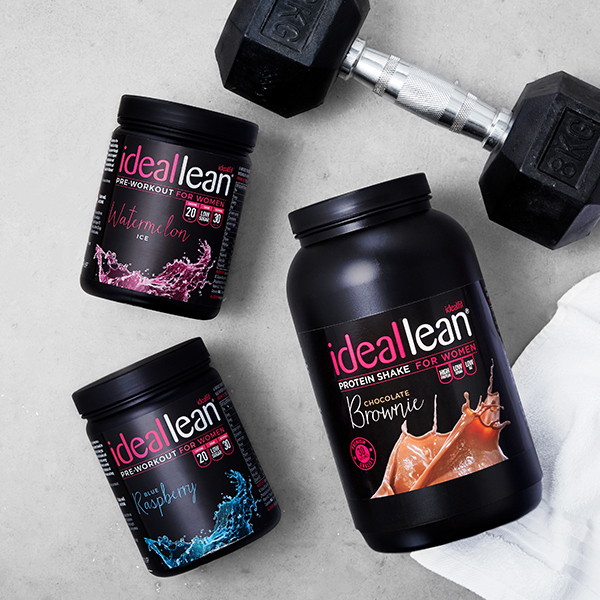 Whether you are training for your first 5k, or you are a seasoned gym-goer, IdealFit’s IdealLean range includes proteins that will help you at every step. Their whey proteins pack in 23 grams per serving at just 103 calories! Their BCAAs provide 5 grams of essential amino acids for maximum muscle conditioning and recovery. And their pre-workout mix with green tea caffeine—at 2 calories—gives you the essential fuel you need to keep on going. Besides the above, IdealFit has just introduced a range of functional clothing to help you look your best during those fitness pursuits. What’s more, the IdealFit community will be there for you at every step of this betterment journey. Expert trainer support, knowledge articles, focused trainer challenges, and a complete air of empowerment all the way! Formulated by a specialist team of nutritionists, IdealLean Protein covers 360-degree protein requirement for women. With 23 grams of whey isolate protein per serving, the supplement is low on sugar and fats. A significantly low amount of lactose ensures that the product is digestible easily for faster muscle recovery. And with no impact on macros, this protein will not derail your weightloss efforts. IdealLean protein—being specifically formulated for women—will ensure that your skin, nails, and hair receive TLC from the inside out. A unique vitamin blend incorporated into the protein makes this possible, along with pantothenic acid to increase your mental focus and prowess. Choose from butterscotch, chai, matcha, caramel, mint, strawberry, brownie, vanilla, and chocolate. The very building blocks of muscle, Branched Chain Amino Acids are something that your body cannot produce. Hence to ensure that your workout and fitness pursuits are fruitful, a quality BCAA supplement can go a long way. 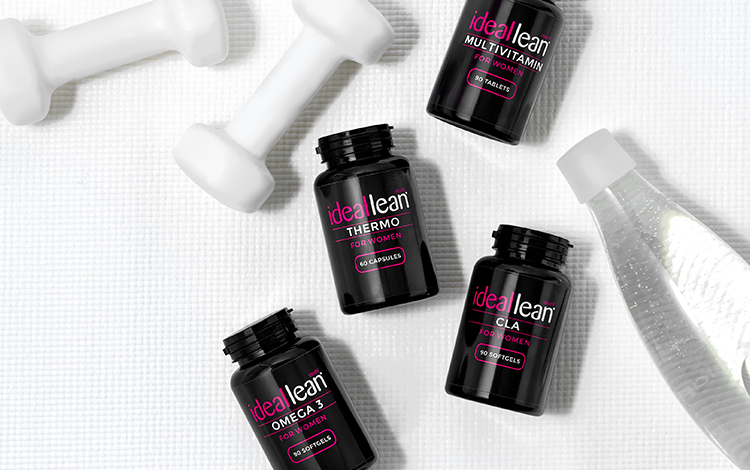 The IdealLean BCAA formula will help your muscles function better, while preventing muscle loss. BCAAs are especially an essential requirement if your workouts are intense. And with 5 grams of these acids in each serving of IdealLean BCAA, you will experience less muscle soreness and recover faster post workout. As with other IdealFit products, the added vitamin B complex will provide beauty benefits, while the green tea extract will keep you going. These also contain coconut water for natural electrolyte optimisation, and L-Arginine for increased protein synthesis. Choose from exciting peach tea, raspberry lemonade, and blueberry-pomegranate flavours. When you need that gentle push to keep expanding your fitness limits, IdealLean’s Pre-Workout can provide that very edge. Discovering a whole new level of intensity gets easier with this mix that contains natural caffeine from green tea. Green tea continues to prove to be a superfood with its plethora of health benefits, and these reflect through this pre-workout product. Added is a vitamin B complex to support enhanced workout through proper metabolism and blood glucose control. Vitamin B also helps regulate your mood for a pleasant training experience. And as with all other IdealFit products, beauty benefits are an added extra. Try the blue-raspberry, watermelon-ice, or the cherry-limeade flavour. 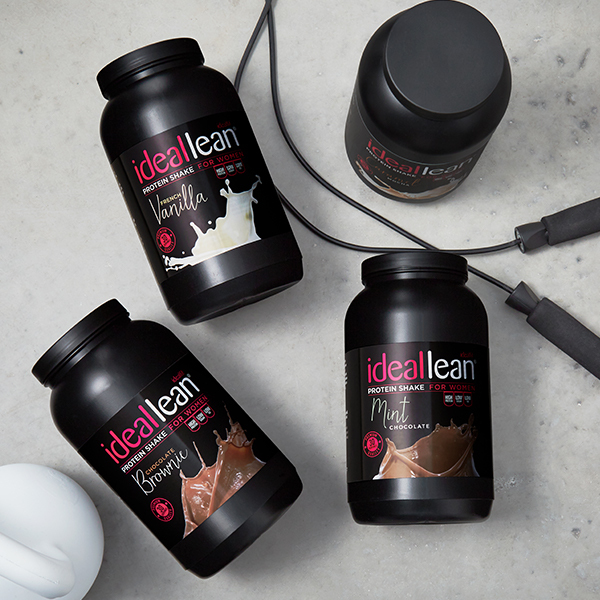 Get 3 for 2 on mini protein tubs at IdealFit!